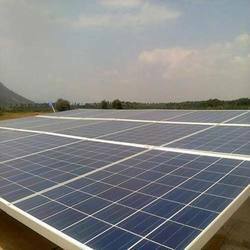 Pioneers in the industry, we offer grid solar power plant from India. Being one of the leading manufacturers of this commendable range of GridSolar Power Plant, we never compromise with its standard of quality. Thus we engage in the utilization of high grade raw materials and modern machines, in compliance with the set industry norms and guidelines. This ensures the product’s performance, capacity, strength and eco friendly nature. Looking for Grid Solar Power Plant ?